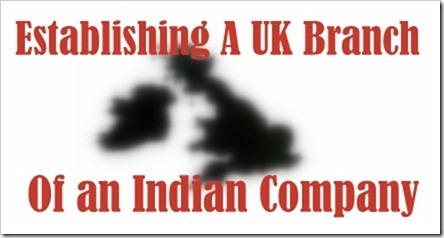 There are such organizations like the UK-India Business Council for those UK companies which would like to open a branch in India. As far as I know there are no such resources when it has to go the opposite way. The entrepreneurs have to go the whole way without the help of an official instance to help them. The United Kingdom with its attractive and stable economy attracts a lot of international business and most business owners at one time or the other have considered opening a branch office in the UK. There are various steps and procedures involved in a company formation in the UK and these steps must be followed strictly before a subsidiary branch can be set up. What is a limited company? A limited company is that in which the liability of the investors in that company is limited to the sum of investments made. A limited company can be further be divided into two categories which are: public limited and private limited. A public limited company allows investments from members of the public in form of selling its shares etc while a private limited company allows investment from individuals the founding members personally choose as investors. Therefore when establishing a branch office in the UK, the choice of what type of limited company you require must first be answered before proceeding to the next steps. After picking the choice of the type of company you want and understanding the legal terms involved, the next step in the company configuration procedure is registering your Company’s branch name. The registration involves: stating the name of the company which must end in LTD for a limited company, the details of one of the firms senior directors, details of the international registered address of the parent company and other items that can serve as a means of identifying the company’s owners. The documents above should also be accompanied with a memorandum which states the share capital, the share holders and what amount they hold, initial founders of the company with addresses and the goals, goods or services the company wishes to provide to the public. The internal rules of conduct for the company and its staff coupled with a statement of compliance should also be provided to show how the organization can be managed. If all the above documents are found to be correct, the registrar of companies UK would issue a certificate of incorporation confirming the companies’ formation and their existence. These details can be sent directly from your company’s base to the registrar of companies UK and all information should be provided on an A4 sheet. Charges also apply and without issuing payment to the relevant organizations, your proposal would be overlooked. A second method can be applied for those who feel they need a physical presence to help them with the delivery and quick processing of their company formation details and this requirement can be fulfilled by outsourcing the job to online companies that specialize in helping foreigners open offices in the UK. These agencies could provide you with branch offices, subsidiary companies run by their staff but report directly to your parent company or a temporary branch in the UK. The documents these agencies would require have been stated above. Taxation, VAT System: A full understanding of limited company and the taxation system that it attracts is necessary in order to avoid problems with the authorities. Legal System: Understanding the UK business laws and regulations and how it affects your business practices is key for the success of your organization. Health and Safety Regulations: Keeping to the set regulations must also be noted and this usually applies to organisations that plan to sell their products in the UK. Licensing: Obtaining the proper licensing for your subsidiary branch, be it an online business presence or a physical one is very necessary. Patents and Intellectual Property: Understanding the laws guiding issue of patents and using other peoples’ intellectual property should not be overlooked. For this knowledge can save you and your organization from being dissolved or visiting a court room. It should be noted that the full responsibility of any actions taken by the subsidiary branch is shouldered by the Parent company. Therefore every move made by the branch should be monitored by the superior firm to avoid legal problems. 5 Compliances for Private Limited Companies That Can Attract Huge Fine If Ignored.